There are plenty of reasons to want a whiter smile. Whether you have years of stains, injuries, old dental work, or just naturally off-color teeth, we offer simple treatments, delivered in the office or to take home, to help you get a whiter smile. Whiter teeth help you look healthier and younger – and may even lead you to smile more! You deserve the confidence boost that comes with having a brighter, whiter smile. At Cedar Spring Family Dentistry, we offer a variety of options to whiten your teeth. When you come in for a dental appointment, our dentist will review your smile and discuss your needs and budget to help you choose the teeth whitening treatment that is best for you. Even if you’re not a patient, we also offer at-home teeth whitening kits to anyone. All of our teeth-whitening options are dentist-approved, safe and effective. Read below to find the product that besr suits your needs, then visit our office to learn more and purchase your system. 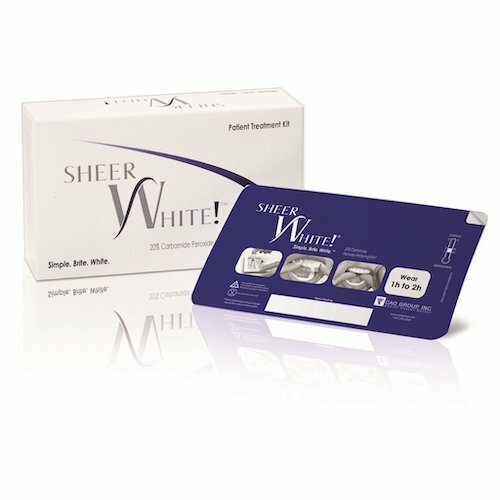 For basic at-home whitening, we offer boxes of Sheer White whitening films. Each box contains 10 films (5 for upper teeth, 5 for lower) that you apply daily. After 5 applications, you’ll have a bright, long-lasting smile. Enjoy whiter teeth in just 5 days with this simple at-home process. For stronger results, we also offer Venus White Ultra treatments. This professional-quality treatment is a set of thin, comfortable, disposable trays pre-filled with mint-flavored gel. Used once a day for up to a week, patients see results in as few as 3 days. To keep the smile lasting longer, we also offer Venus White touch-up brushes and toothpaste. Not all whitening needs are the same. Some of our clients benefit most from personalized whitening treatments. For them, we will make custom teeth trays to use along with tubes of mint-flavored whitening gel. Venus White Pro treatments can be incredibly effective for deep stains, and you can apply them in the comfort and privacy of your own home. Make an appointment today to talk with our dentists about the best, most effective teeth-whitening treatment for you. Don’t delay in making a small change that can make a big difference in how you look and feel.